Premier Loft Ladders Elite is manufactured from the same high strength die-cast aluminium alloy components as the Supreme stairway, but instead of being supplied with a trapdoor and lining, it would be attached to a laminated wood backboard (580 mm wide x 200 mm deep x 18 mm thick when used with the 350mm wide treads) for fitting to a vertical surface. 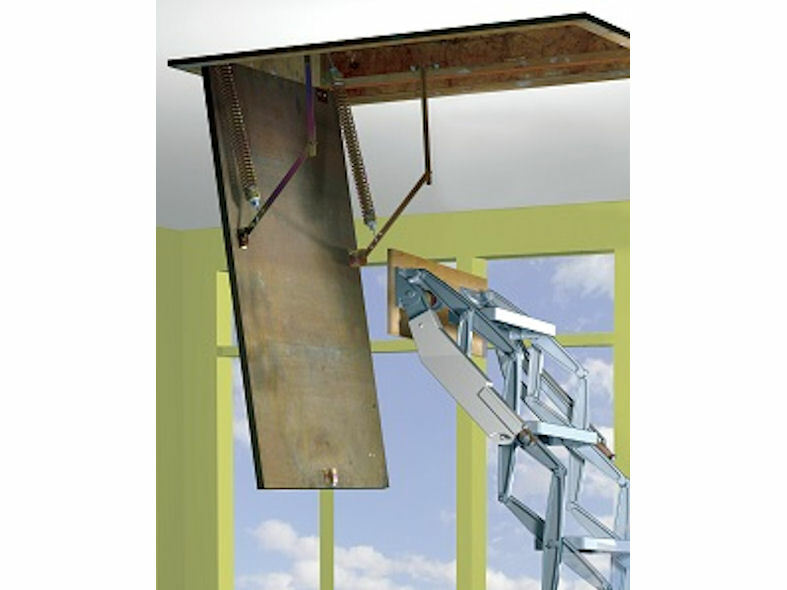 Options can include a special accessory hinge for operation in a vertical access e.g. 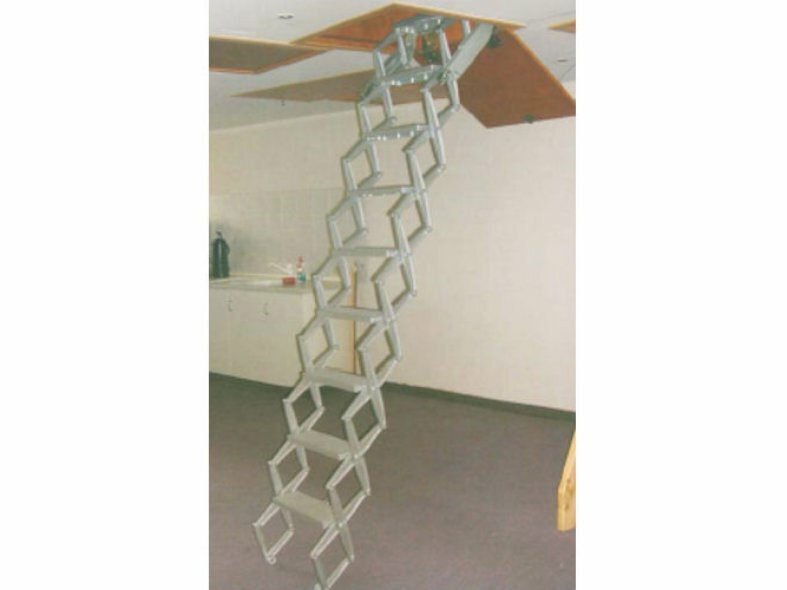 mezzanine floor, top operation when used in a vertical access with telescopic handrail. 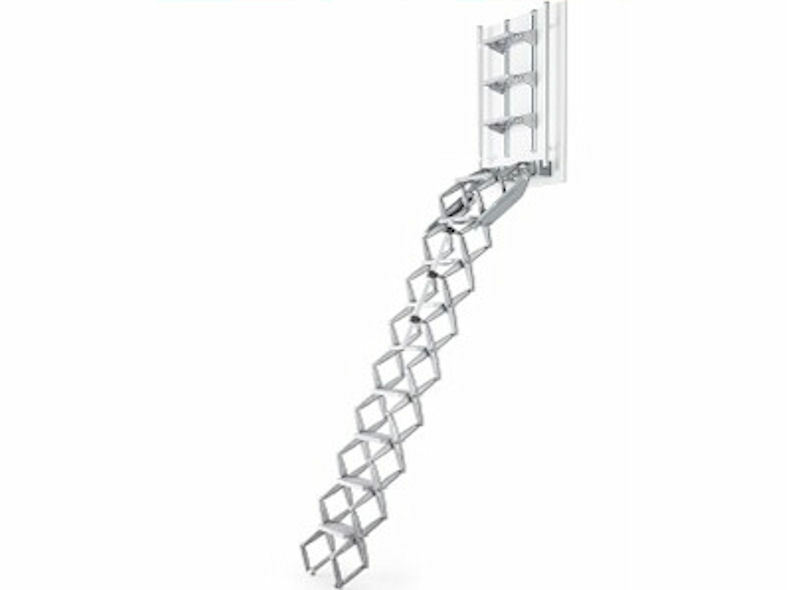 This ladder is supplied with two heavy duty counter-balanced springs incorporated into pivot brackets to ensure that it can be raised and lowered with a minimum of effort. Minimum hatch width for the 350mm wide treads is 580mm. Narrower tread widths and therefore a more narrow backboard are available on request.